The award-winning novelist says he’s never felt divided when it comes to his own identity, but that talking to his daughter about racism past and present was another matter. 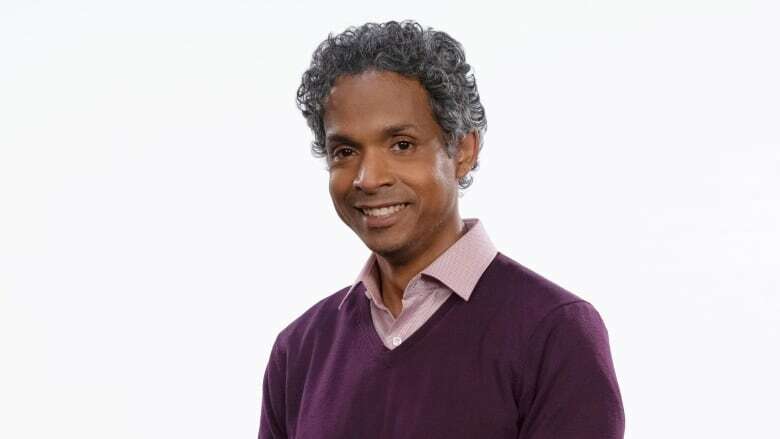 David Chariandy's parents immigrated to Canada from Trinidad in the 1960s. His mom — a black woman of African ancestry — arrived first, as a domestic worker. Not long after, she sponsored his father — a dark-skinned South Asian man. "I've heard stories about my parents being refused service in restaurants, about my mother being gawked at on the streets of Toronto and being assumed to be a prostitute because, how could anyone who looks like her be otherwise?" said Chariandy. The award-winning author says his parents faced "enormous difficulty" finding a landlord who would rent to a mixed-race couple. Tired of earning less than his white coworkers, Chariandy's father finally left the publishing house where he had been employed, to become a factory worker just across the street. But those stories of hardship and suffering were never talked about openly. "I think my parents were very careful about revealing those stories to me, perhaps out of some sense that would cause me to doubt my future and my sense of belonging within the country they'd worked so hard to come to," said Chariandy. That reluctance to tell the hard stories about racism, and about a family history of indenture and displacement, is a feeling Chariandy has experienced too. After the 2016 U.S. presidential election, his 13-year-old daughter started asking some tough questions. Those questions eventually inspired Chariandy to write I've Been Meaning To Tell You: A Letter to My Daughter. Even once his mind was made up, however, Chariandy says his loyalty to the idea of telling his daughter about the "bitter truths" of racism was often at odds with his belief that not telling her would preserve "a sense of hope." "I came to the realization that it's a false choice," he said. "In fact, the greatest way one can pass on hope is to tell that story, but to tell it in a way that illustrates the resilience, the beauty, the perseverance of people who have undergone great hardship." Although Chariandy's loyalties have been divided when it comes to the question of what to share with his daughter, they're not at all divided in the way he says people might expect them to be. "The very term 'divided loyalties' to me conjures up a long history in which visible minorities are assumed to possess divided loyalties regarding the nations in which they happen to live," he explained. "The Japanese who were interned during the Second World War were interned because they were assumed to possess divided loyalties — because they couldn't be both Japanese and Canadian." "I can have a multiplicity of loyalties," Chariandy says. "I am not divided in any way." This story appears in the Out in the Open episode "Split Loyalty."